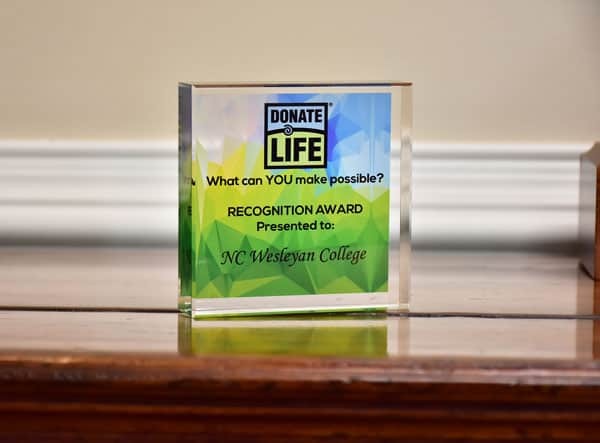 ROCKY MOUNT, NORTH CAROLINA – Recently, North Carolina Wesleyan College received an Award of Employer Excellence from Donate Life North Carolina. April is National Donate Life Month, an entire month of local, regional and national activities to help encourage Americans to register as organ, eye and tissue donors and to celebrate those that have saved lives through the gift of donation. Wesleyan received this award because of their dedication to going above and beyond the legal requirements in supporting employees who are living organ donors and recipients, as well as, employees who are on the transplant waiting list. “For many living donors and patients, the worry of missed work or expenses is incredibly stressful and prevents them from focusing on their health. We are so proud of the work that Wesleyan does to support their employees,” stated Deanna Mitchell, Executive Director of Donate Life NC. North Carolina Wesleyan Visiting Assistant Professor of English, Dr. Mike Brantley, received his liver over three years ago. Courtney Moss, a May 2018 Wesleyan grad and employee at the Dunn Center Box Office, received her heart four years ago. There are over 3,000 North Carolinians waiting for an organ and 84 percent of those are waiting for kidneys. Living kidney donor and Executive Director of The Dunn Center for the Performing Arts at Wesleyan, Sheila Martin, has actively volunteered for many years to increase public awareness of the great need for registered organ donors. “NC Wesleyan hired me fourteen years ago knowing I was a living kidney donor. 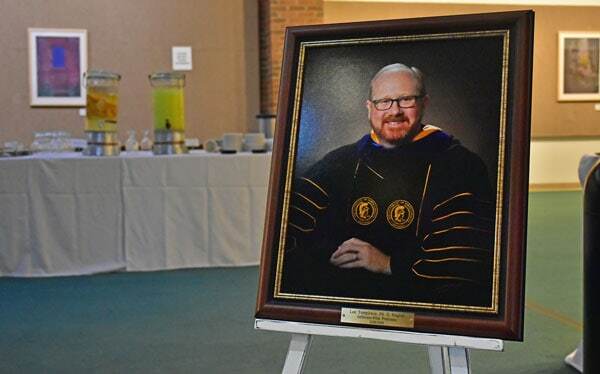 The recipient was my son, Jim Pittman, who graduated from Wesleyan in 1992,” stated Sheila Martin, Executive Director of The Dunn Center for the Performing Arts. “I’m grateful for the College’s support and that they allow me to take administrative leave in order to attend the state’s License to Give Trust Fund Commission meetings.” Wesleyan also hosts a yearly dodge ball tournament, organized by the women’s soccer team, which benefits Carolina Donor Services.“The involvement of the women’s soccer team has been so incredible because it puts the issue of organ donation in front of a young audience,” stated Martin. Donate Life NC is a statewide non-profit organization dedicated to inspiring all North Carolinians to give the gift of life. The organization recognizes those employers who go above and beyond the law to support employees who are on the transplant waiting list as well as those who are living donors. ROCKY MOUNT, NORTH CAROLINA – North Carolina Wesleyan College will hold its Spring Commencement on Saturday, May 4 on the front lawn of campus. This will be the second time in 20 years that graduation has been held outside at the College due togrowing class sizes. This week, Wesleyan announced its 2019 commencement speaker will be Tony Stroud, 1983 alumnus of Wesleyan and founder of Stroud & Company, a Wilmington, NC accounting firm. Stroud’s career began after graduating from North Carolina Wesleyan College with a degree in English. 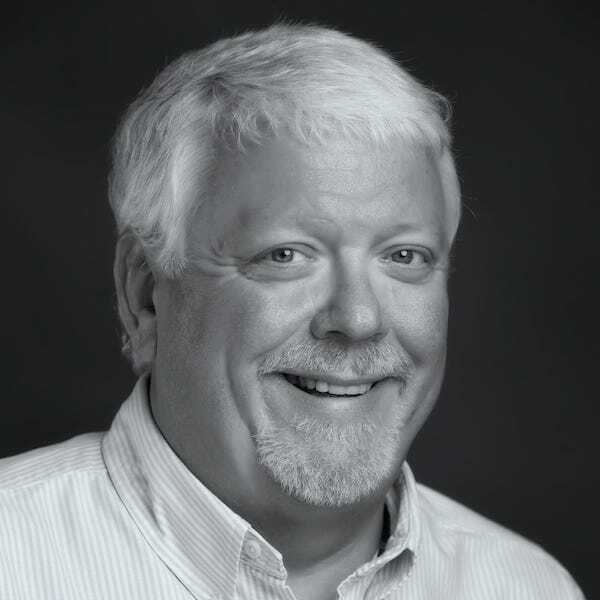 He then went on to complete the CPA candidacy program at UNC Wilmington before founding his company in 1993. As a trusted financial advisor in the Wilmington area, he works closely with individual and corporate clients, providing accounting and tax planning, as well as representing clients in tax controversy situations. Stroud is also a member of the American Institute of Certified Public Accountants (AICPA) and the North Carolina Association of Certified Public Accountants. When Stroud is not busy running his office, he spends time volunteering at local non-profits including the Harrelson Center, Wilmington Fire Fighters and She Rocks. A passion of his is traveling, especially touring Sports Illustrated’s Top 10 Sports venues of the 20th Century, of which he has visited eight. The 2019 commencement ceremony will be held outside and is open to the public, pending good weather. In the event of inclement weather, graduation will be moved inside at the Rocky Mount Event Center. ROCKY MOUNT, NORTH CAROLINA –On Thursday, April 4, the North Carolina Wesleyan College cheer team traveled to Daytona Beach, Florida to compete in the National Cheerleaders Association Collegiate Championship under the leadership of new coaches, Lyndsey and Pete Graham. After a strong morning practice and a confident warm up, the Bishops took the mat for the second time on Friday. The team placed third nationally in the Intermediate Small Coed Division III. Spirit Coordinators/Cheerleading and Dance Coaches, Pete and Lyndsey Graham, assumed leadership of the cheer program back in January. Pete works with the teams full-time, while Lyndsey coaches part-time.The dynamic duo is responsible for coordinating the cheer and dance team in recruitment, try-outs, choreography, practices, game days and campus/community events. “We are incredibly excited for this team. 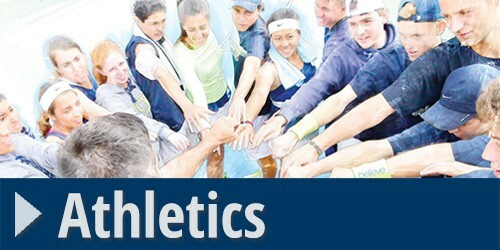 Third place is an amazing accomplishment and we couldn’t be happier,” stated coach Pete Graham. Together, the couple has a combined nine years of experience coaching at the college level. Lyndsey Graham graduated from Liberty University with a degree in Psychology and Pete Graham graduated from NC State University with a degree in Business Administration. Both excelled in cheer at their universities and were chosen to serve as team captains. The couple went on to marry, celebrating their one-year wedding anniversary just before starting at NC Wesleyan. The new coaches have experience in competing at the National Cheerleading Associations College Nationals at Daytona Beach, Universal Cheerleading Associations College Nationals in Orlando, UCA & NCA Nationals, NCAA and Big South. Besides competing and coaching at the college level, both have experience in leadership positions with the Christian Cheerleaders of America for numerous years. To learn more about Wesleyan’s Cheer and Dance Program, visit ncwcsports.com. 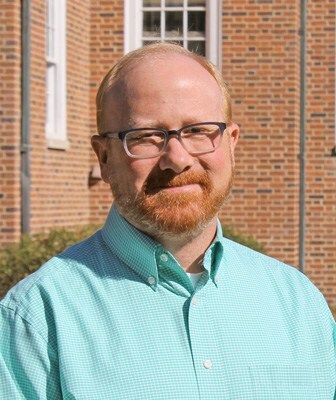 ROCKY MOUNT, NORTH CAROLINA –North Carolina Wesleyan Professor, Dr. Lee Templeton, has been awarded with the 2018-2019 Jefferson-Pilot Professorship. This award is the highest and most singular honor that can be bestowed upon a faculty memberand is given in recognition of scholarship, teaching and community service. The Jefferson-Pilot Professorship is an endowed award that was established in 1981 through the generosity of the Jefferson-Pilot Life Insurance Company. The honoree is nominated by a committee of faculty and appointed by NC Wesleyan President, Dr. Dewey Clark. 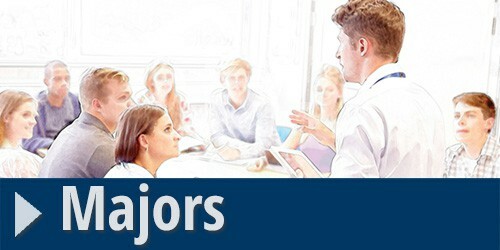 To be eligible for consideration, the faculty member must have tenure and have clearly distinguished themselves with high standards of excellence. As teachers, they demonstrate a whole-hearted dedication and rigorous professionalism in forwarding their students’ learning and personal development for life and work. As scholars, they have to possess a mastery of their discipline, contribute to new understanding and knowledge, and demonstrate a lively commitment to life-long learning for themselves, as well as their students. Additionally, as a member of the Wesleyan community, they give generouslyto the aims and programs of the College, both with their time and means. 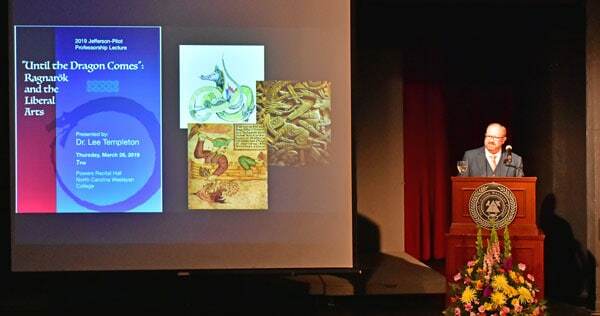 Dr. Templeton, now in his eleventh year at Wesleyan, delivered his Jefferson-Pilot Professorship Lecture, entitled: “Until the Dragon Comes: Ragnarok and the Liberal Arts,” on Thursday, March 28. 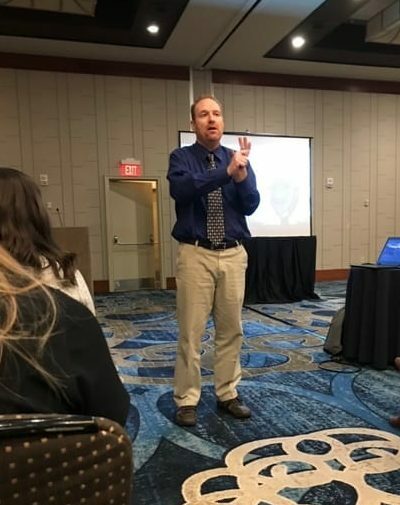 His talk explored two topics– dragons and higher education – and attempts to connect the two in a meaningful way. Beginning with an examination of the figure of the dragon and its various metaphorical meanings, in Old Norse/Icelandic and Anglo-Saxon myth and literature, Dr. Templeton considers current trends in higher education through the metaphorical lens of the dragon. During the lecture presentation, the 2019-2020 recipient of the Jefferson-Pilot Professorship was announced. Next year’s awardee is Dr. Jeffrey Kuglitsch, Associate Professor of Earth Science. 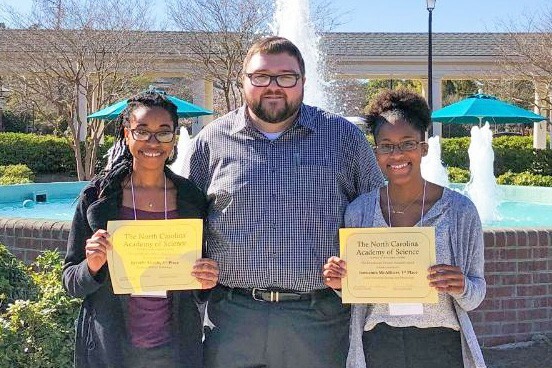 Biomedical Science seniors, Beverly Anaele and Jawuanna McAllister, presented their research at the NC Academy of Science (NCAS) at UNC Wilmington on March 23rd. Both young women have been doing research at NC Wesleyan for the past two years, independently as juniors and later as part of their senior honors theses. Beverly has worked with Dr. Kosal, and Jawuanna has worked with Dr. Stovall. Both Beverly and Jawuanna have just finished one-year terms as the Secretary and President, respectively, of the Collegiate Academy of NCAS. Both young women are graduating from Wesleyan this semester and have big plans! In August, Beverly, who recently won the Biology Award at the NC Wesleyan Honors Convocation, will begin a Master’s of Public Health program at Thomas Jefferson University, and Jawuanna will start her Ph.D. in Biochemistry, Molecular and Cell Biology at Cornell University. Congratulations to these outstanding and successful young scientists! The Biology department will be sad to see them go. But, we are so excited to see what they become. NC Wesleyan College recently held the 2019 Honors Convocation Award Ceremony. These Awardees and Honor Society Members have displayed outstanding contributions inside and outside of the classroom. When you see these students, please take a moment to congratulate them. Below you will find a list of honor society members who were recognized at the 2019 Honors Convocation Ceremony. When you see these students, please take a moment to congratulate them. 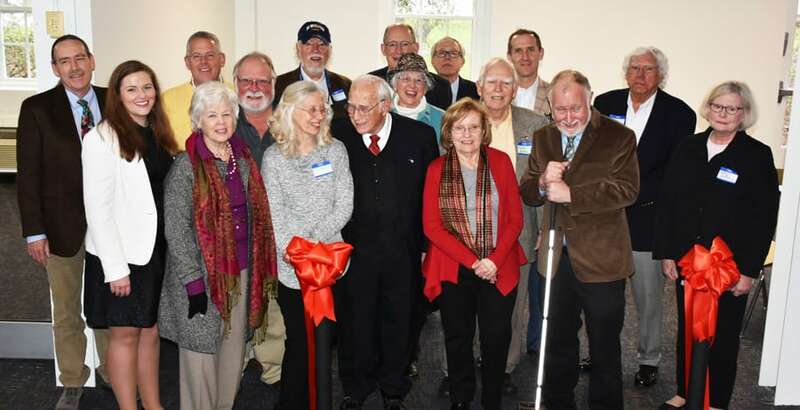 ROCKY MOUNT, NORTH CAROLINA– Over 110 students, staff, supporters and family recently gathered at the Hartness Student Center at North Carolina Wesleyan College for a ribbon cutting ceremony celebrating new renovations. 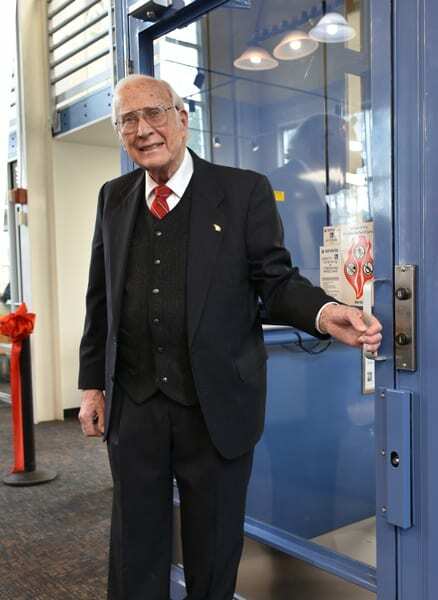 The event recognized Dr. John Hartness for his generous contributions and tireless support of the College. Just before the event began, the room buzzed with conversation as individuals from various backgrounds greeted one another and shared stories of how Dr. Hartness has impacted their lives. Elliott Smith, Director of Student Activities, opened the event by expressing his thanks and mentioning all of the recent changes to the building as part of this renovation. The improvements took place over the past several months. They include: redesigning the ground level to encompass dynamic meeting areas, building a second floor which houses offices and creating a multi-purpose student lounge to accommodate both academic and entertainment needs. Annick Umuliza, a student-worker at the Hartness Center spoke on her pride of working for the center and its mission. As Dr. Hartness came forward to say a few words and cut the ribbon, the entire room rose in a standing ovation for a man whose efforts serve as a prime example of a community supporter and leader. On February 14th and 15th, Drs. 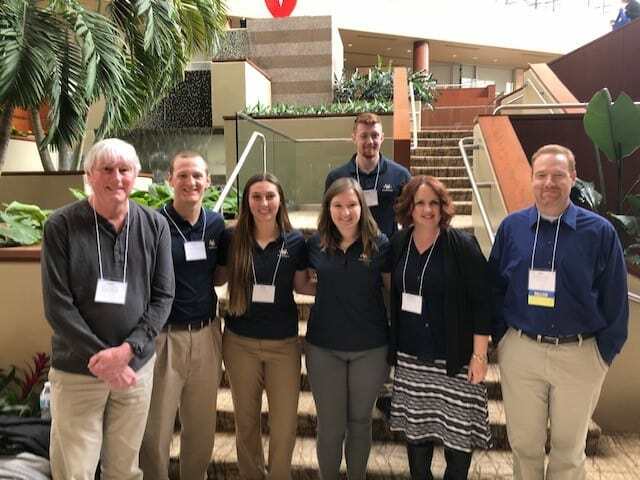 Crowley, Henderson and Magal, and four students attended the regional conference of the American College of Sports Medicine in Greenville, SC. At the conference and under the direction of Dr. Crowley, Mehli Marcellus and Tyler Ricks presented a research project titled: “Factors Influencing Attitude Towards, and Participation in, Physical Activity in Eastern North Carolina”. North Carolina Wesleyan College shared a photo. “So I think our best days are ahead of us — and CSX is a big reason for that” – NC Wesleyan President, Dr. Dewey Clark. Yesterday's groundbreaking ceremony for CSX's intermodal rail facility was a major milestone for the Twin Counties, NC and NC Wesleyan. We recently rolled out a logistics degree program to help train our students for careers like those that will be created as a result of this new facility. ow.ly/qHcT50rO5KqIt was a very good day. Read all about the ceremonial groundbreaking for the new CSX intermodal rail facility to be located along U.S. 301. North Carolina Wesleyan College is with Dewey Clark. Way to go Dewey Clark! Oh I mean President Clark! We are all so proud of you!